Pompei Stained Glass was founded in 1979, as an avocation of Joseph Pompei. Joseph was joined by his wife, Ivy Pompei, as a full-time partner in 1981. 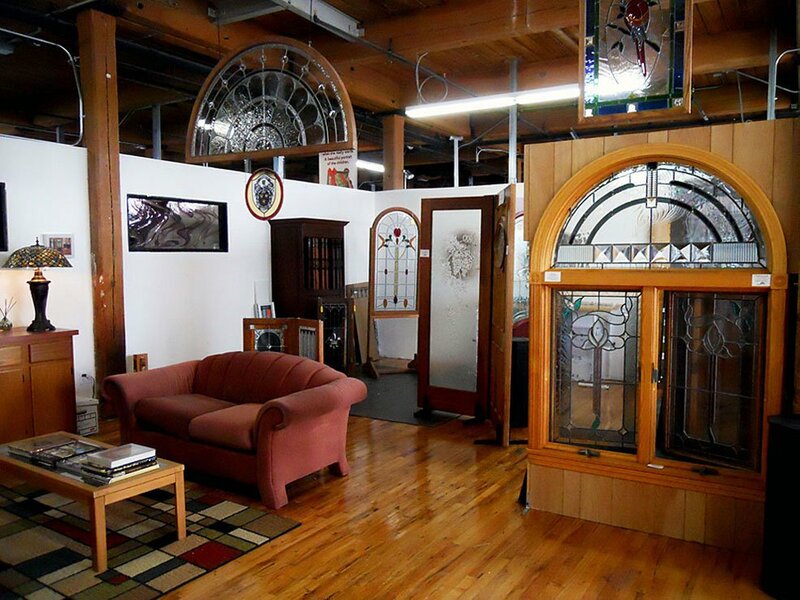 After being located in West Medford Square, Massachusetts since its inception, the Pompei studios moved in November 2012 to the Western Avenue Studios in Lowell, Massachusetts, now the largest artist colony of its kind on the East Coast. 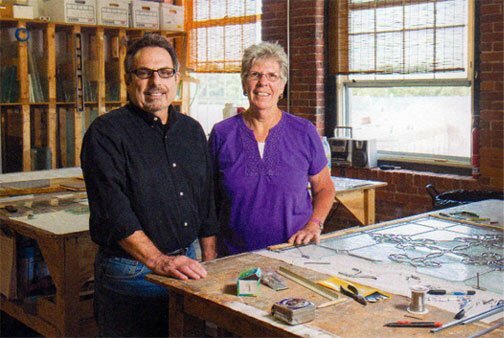 Over the past 40 years, Pompei Stained Glass has gained a reputation among professional architects, interior designers, contractors, and homeowners as one of Boston’s premier stained glass studios, serving Massachusetts and all of New England. 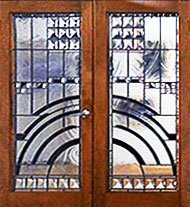 Several years ago the Pompeis decided to expand their business by offering a variety of architectural accessories, including lighting fixtures by Meyda and the finest of wood and composite doors from manufacturers such as JELD-WEN IWP Custom Door Division and Architectural Traditions. As committed artisans, the pursuit of excellence is reflected in not only their own commissions, but in the quality of the products Pompei & Company chooses to display and retail. More recently, the Pompeis welcomed their daughter Marissa as a full-time studio member. 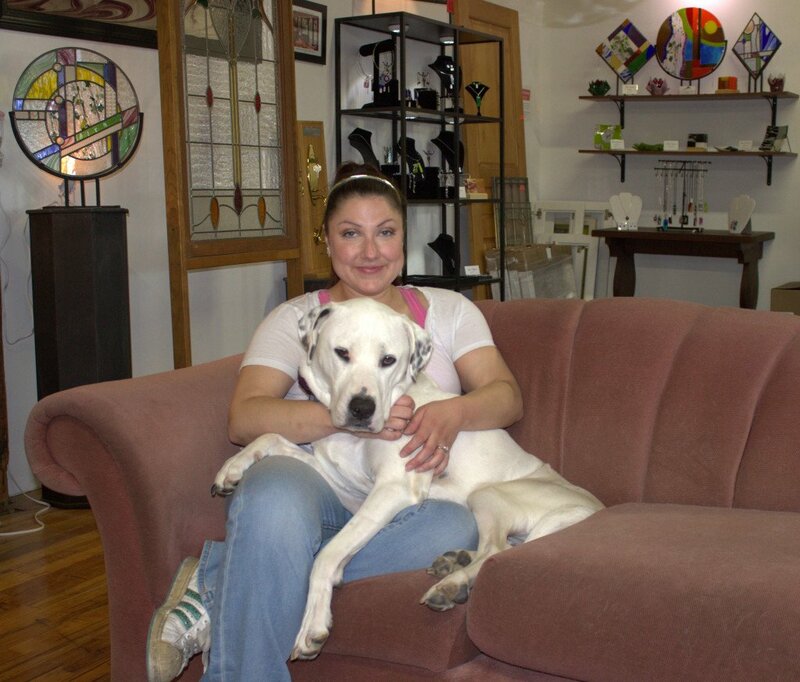 Marissa is a fused glass artist, specializing in unique fused glass jewelry and accessories. A new fused glass jewelry online Etsy store can can be viewed at www.pompeiglass.etsy.com It is their commitment to excellence, along with their talent and skill as artisans, as well as 40 years of experience which sets the Pompeis apart from most other glass studios. We invite you to experience this difference with a visit to the Pompei stained glass studio. Visit Our New Showroom and Working Studio! Hours: Tuesday through Friday | 10 am to 4 pm Saturdays | 10 am to 1 pm Other hours available by appointment.